Whether you’re a new convert to the Keto diet plan, have been eating low carb for years or just enjoy having easy, healthy snacks on hand, you’ve probably noticed ready-to-go Keto snack foods can be hard to come by. At Keto Kitchen Corner, we want to change that. 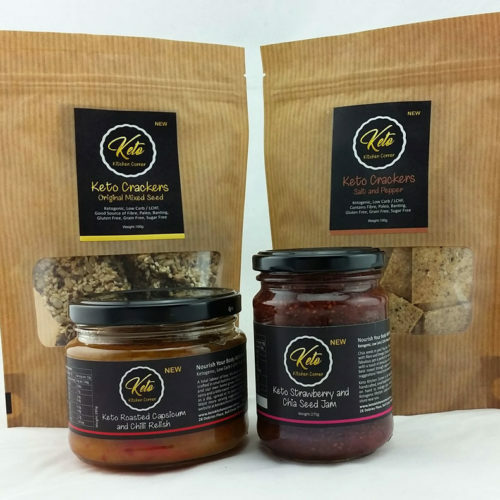 Our handmade crackers and sugar free jams and relishes are delicious and versatile. They’ll help you curb cravings and make healthy choices when you need a quick bite, Want some meal ideas using our products? Click here to see how we use them! We are Keto, what about you? So what is a Keto diet, anyway? A Keto, or Ketogenic, diet relies on eating foods which are low in carbohydrates, high in fat and moderate in protein. This way of eating makes your body enter a fat-burning state known as ketosis. Rather than using up carbohydrates, the body burns fat stores to meet its energy requirements. 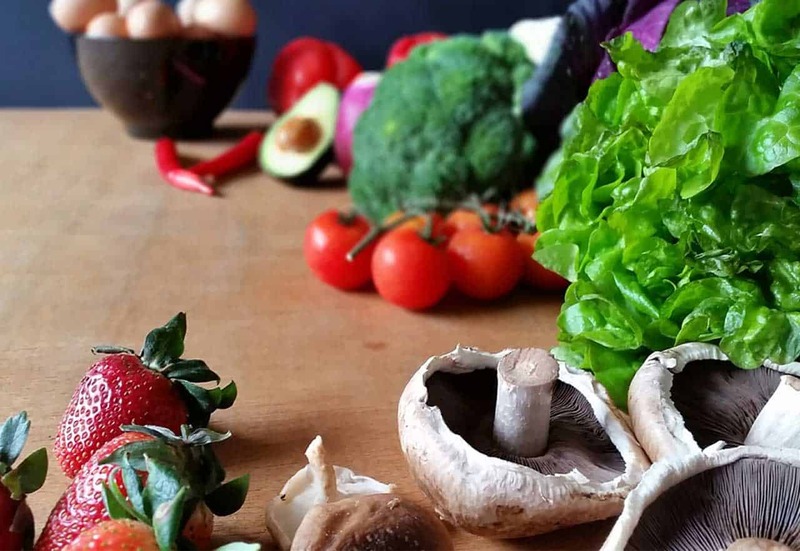 Following a Keto diet can promote weight loss and a reduction in bloating, and long term followers say it helps with mental clarity, skin conditions and lean muscle development. It’s also reported to assist in general wellbeing and symptom reductions for people who suffer from diseases linked to inflammation, such as Type 2 diabetes, epilepsy, Alzheimers, dementia and cancer. There’s much research-based evidence to be found about the Keto diet. Click the link below if you’d like to read more about this way of eating from medical professionals and researchers. in your kitchen (and your belly)?